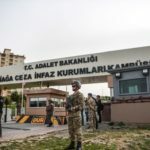 In a surprise October decision, a Turkish judge has filed a criminal complaint against a police chief and an army captain, implicating them in a plot to kill a church leader in Izmit, 60 miles east of Istanbul. It’s the second recent court case in Turkey to try suspects with alleged connections to higher authorities for plotting violence against Christians. The trial against five young men who brutally murdered three Christians in 2007 at the Zirve Christian Publishing House, a crime which hit global headlines, is still continuing in the southeastern city of Malatya. In Izmit, Turkish Protestant Pastor Emre Karaali and his lawyers believe the 13 suspects who plotted to attack him and his congregation in 2012 did not act alone, but were guided by police and military forces who conceived the plot. In the third hearing of the case on Oct. 21, suspect Ufuk Suer, 34, said the ring-leader of the group was in contact with the National Intelligence Agency (MIT) leading up to their arrest, according to the court minutes. Although other suspects had also testified they had links with higher authorities and MIT, Judge Yusuf Coskun seemed initially hesitant to implicate the police or army, according to Karaali. The pastor said he thought the judge’s decision was a significant development in the case. In June his lawyer had requested the court to conduct a formal investigation of the police and military authorities identified in the case file. Police arrested 13 suspects on Jan. 16, 2013 in connection with a months-long plot to attack Karaali and his congregation. Police claimed they arrested the suspects just before they were about to attack. 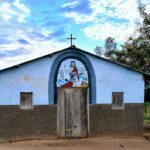 The suspects had infiltrated the church feigning interest in Christianity, and police said they gleaned information by listening to their telephones. 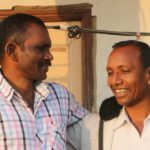 “There is now a connection between this case and the police and military,” Karaali told World Watch Monitor. But he admitted he was now “uncomfortable” that these newly named suspects were still free. The judge has so far declined the prosecution lawyer’s requests that all suspects be kept in custody. After several days of interrogation following their arrest, all but one was released. 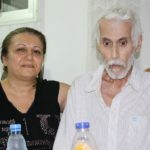 Ferhat Cakar, the alleged ring-leader, had been held in detention for six months pending the trial but due to delays, had since been out for more than a year. Karaali said he felt tense in court for the first time before the third hearing began. The suspects appeared “cool” and “confident,” he noted, as if nothing worried them. The two new suspects, police chief Hasan Erdogan and captain Levent Birsin, were ordered to appear at the next court hearing scheduled for Jan. 15. Similarities with the Malatya trial. 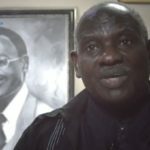 In both cases, Karaali explained, public opinion was primed before the planned crime through negative media propaganda, claiming Christians were posing a threat to the relevant city. Months before the plot to attack the church in Izmit, he says Turkish journalist Banu Avar told visitors at a local book fair that “imperialist missionaries” were targeting the city to convert its population. Similarly, a public protest was orchestrated in Malatya when Christian literature arrived at the Zirve office, where the murder later took place, prompting disinformation against Christian activities in the local news. Just as in Izmit, the Malatya suspects also infiltrated the Christian groups. Some of the accused killers had met with their victims under the pretext of studying the Bible, to build a trust relationship with them. Finally, the suspects had links with the police and military in both incidents. “I think the process was the same, the scenario was the same, but the results were different,” Karaali said. Karaali has declined an offer of police protection, although he moved his wife and two small children to a more secure location after the alleged plot was exposed. The church leader came from a Muslim background to Christianity 14 years ago. Now 35, he has pastored the Izmit Protestant Church, under the legal umbrella of the Istanbul Protestant Church Foundation, since 2009.